A simple way to a full clean face. Super Cleanse Face Wipes remove eye and face makeup quickly and easily while leaving the skin clean, hydrated and glowing. 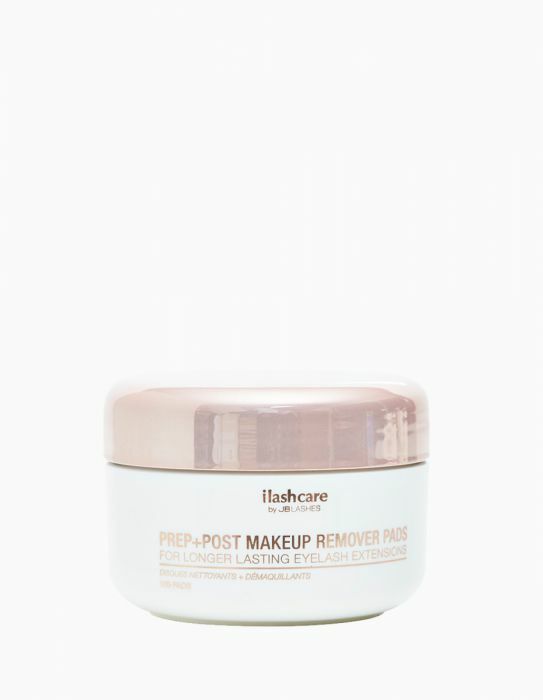 Easily removes the heaviest makeup and can be used to freshen your skin throughout the day. Also great for neck and chest area. Contains a perfect blend of gentle cleansers and natural moisturizers to thoroughly remove makeup without irritating sensitive skin. Natural soothing agents like aloe and chamomile gently cleanse and moisturize, leaving even the most sensitive skin healthy and nourished. Specially formulated with natural antioxidant ingredients like grapefruit to help regular eyelash extension wearers maintain clear and healthy skin. Gentle enough for daily use, oil-free and fragrance-free. Gently wipe tissue over the face, eyelids and lips using both sides of tissue to lift away make-up. After use, dispose of the wipe in trash (do not flush). Reseal pack to keep wipes moist.